Birthday Sundaes #31: Create a TALL card! Hello everyone and welcome to another Birthday Sundaes Challenge! 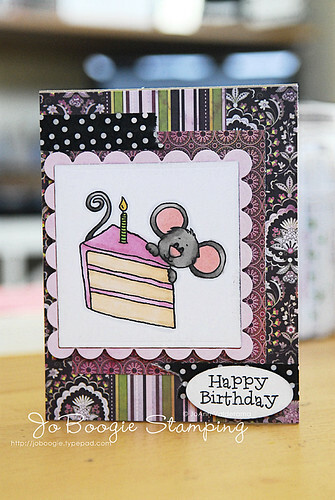 This week's challenge is to create a TALL birthday card and it's sponsored by Sweet 'N Sassy Stamps! Hope you all get a chance to play with us this week at Birthday Sundaes! One lucky winner will receive 3 digis of your choice from Sweet 'N Sassy Stamps! Don't forget to stop by the DT blog to see what everyone has created and be sure to check out LaKesha AKA Scrappin' Diva, our guest designer for this week as well!